After a long day hiking through the wilderness , getting a good night’s sleep is crucial . The Venture 4th Self Inflating – Sleeping Pad with unique Flower of Life design provides all the comfort your body needs for getting a good night’s rest . 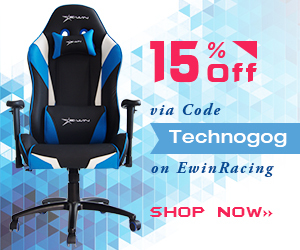 Made from thick , cushy , open cell foam that holds its shape and retains heat for superior warmth and comfort . The tough 75 denier polyester outer shell is waterproof and tear resistant for rugged durability . And unlike air pads , our comfy inflatable mat won’t make a crinkly or squeaky noise so you can snooze soundly and wake up rested and refreshed . In fact , you’ll be able to sleep almost anywhere . So make sure you take one on your next adventure . 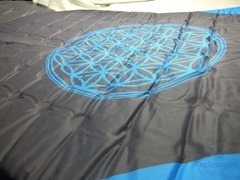 Our self-inflating mats are 72 inches long x 22 inches wide and can sleep single adults comfortably . This ensures your shoulders and hips are supported , your legs insulated , heels cushioned and feet kept warm . 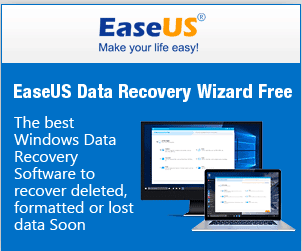 Essential for chilly fall and winter trips ! Simply roll pad out with the valve open . 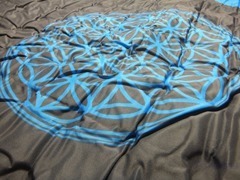 The pad self inflates as the foam expands . Top up with your own breath if you prefer a firm mattress . Deflating is just as easy . Open the valve and roll the mattress up slowly , pushing the air towards the valve as you go . Best for car camping , backpacking , thru hiking , hunting , mountaineering , fishing and more . 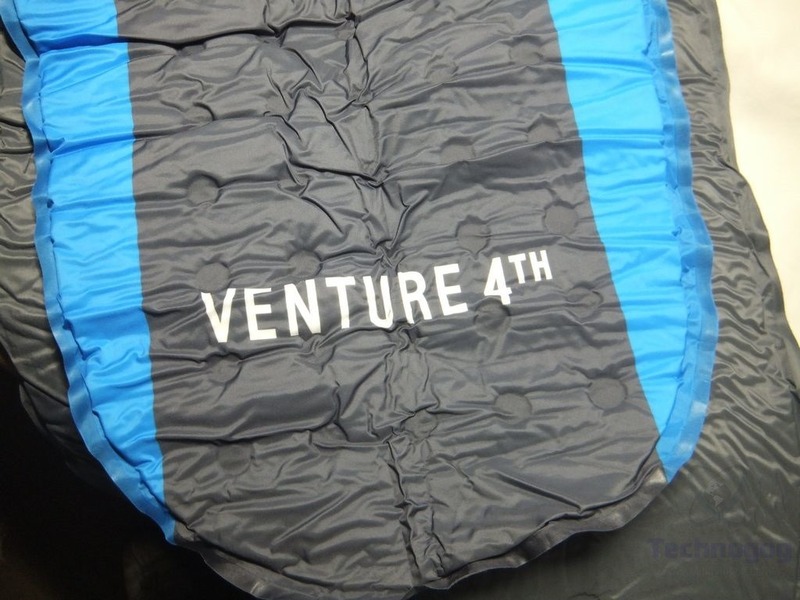 Lightweight and compact , it’s a great choice for Scouts and kids camp outs . The premium quality foam provides excellent insulation . From summer backpacking to fast and light winter trips , we’ve got you covered for all seasons. 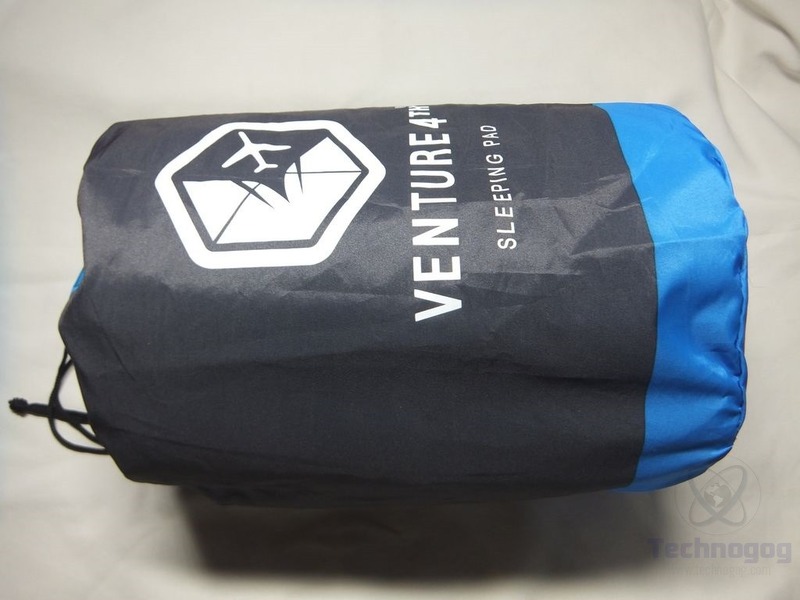 Sleeping pad is not just for outdoorsy types! Ideal for travel , festivals and days at the beach . The handy , waterproof bag makes it easy to store and carry along anywhere . The Venture 4th sleeping pad just comes packaged in a plastic bag and that’s fine as it’s not exactly fragile and it was in a box too. 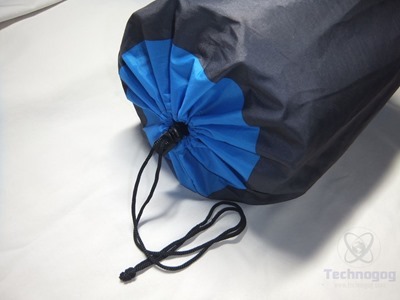 The pad itself is stored in a nylon drawstring bag with a locking string for storage and transport. When you take it out of the bag you’ll find the pad wrapped tightly and held closed with a velcro style belt. They include a user guide with care instructions and a patch kit in case you get a hole in the pad. The pad is 72 inches long and 22 inches wide but it’s wider at the top and tapers towards the bottom where your feet would be. The pad has a polyester out shell that feel durable but yet rather soft and not plastic like. The valve is at the top, it opens and closes by twisting it. 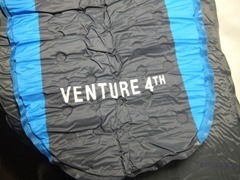 Towards the bottom of the pad where it tapers you’ll see the Venture 4th logo. 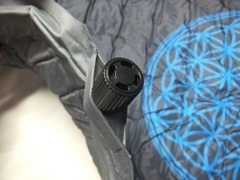 The seams are very large around the outside of the pad that seal the pad together. 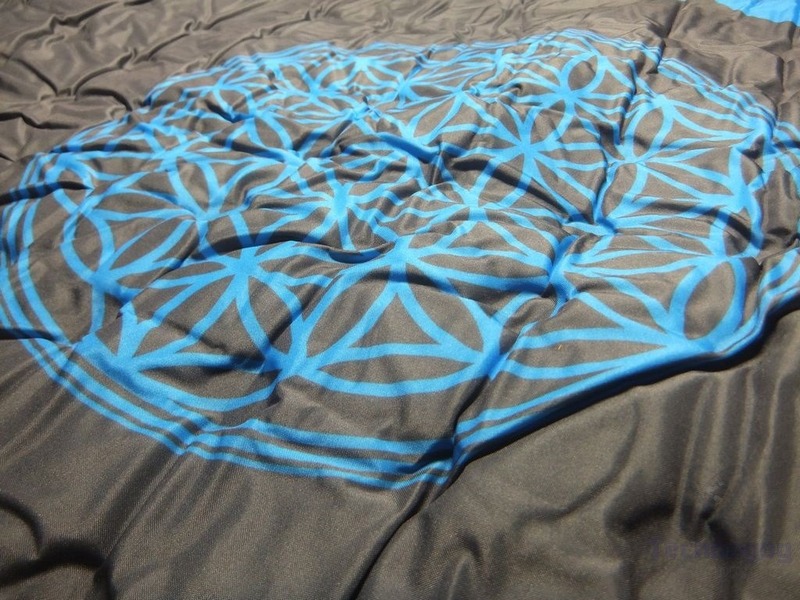 The pad has a quilted texture to it which is especially noticeable when the pad is not inflated. One of the great things about this pad is that it’s self-inflating, yes you don’t need an air pump and you don’t need to blow into it to fill it up, you just twist open the valve and the air rushes in to fill it up. Initially it fills up fast but slows down and it takes less than 5 minutes to get fully filled with air. Once the pad is filled it’s thick and soft making it very comfortable. 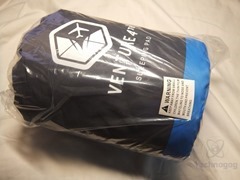 The Venture 4th self-inflating sleeping pad a good choice in my opinion for camping and hiking or it can other uses too like just to have around for guests for something to sleep on or maybe a shooting pad, it just has plenty of uses for sure. 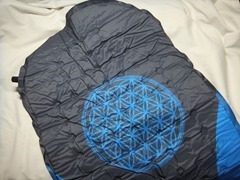 The pad is well made, it feels sturdy and durable but yet it’s soft and comfortable to sleep on. The pad should be large enough for most people, I’m 6ft and it’s fine for me. 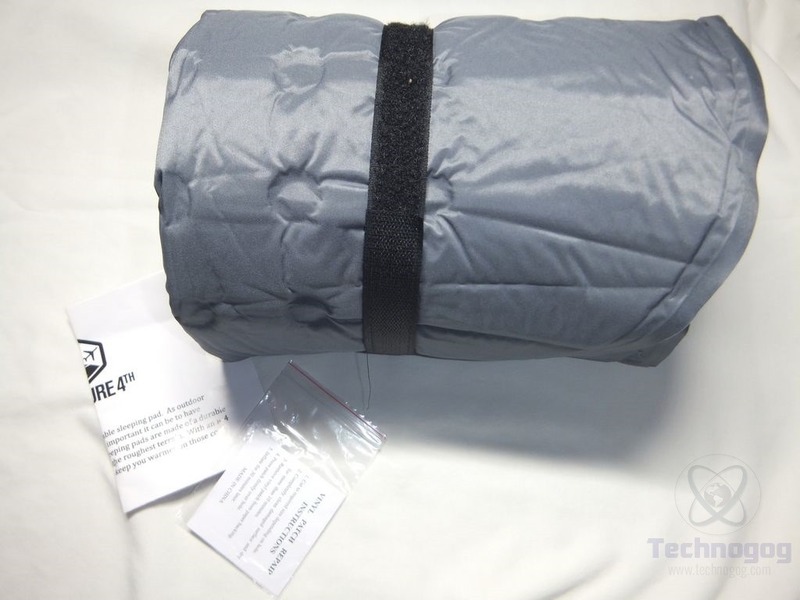 The pad inflates fully in under five minutes and it can easily be deflated and compressed making it portable to take with you and yet not take up much space. As far as price, I’m not really sure as you can find a lot that are less expensive than this but then you can find some that are more expensive but those seem to have more features and are larger. In terms of similar size and what features it has, this pad is on the more expensive side when compared to others.